Kipcsa, a Hunnic leader, leads his troops in an epic struggle for Dardania- the Huns have been given the option to settle on the lands they've extorted or tamed in one of the mentioned mods. The chaos and carnage of the battlefield can be modified, like any other variable. Now that the game has been an acclaimed success, our hard working modders are compiling their best changes and additions for a fuller and more tailored experience in Attila: TW. These mods will of course be added to the workshop once it is online, and enabled and disabled with a simple click. From graphical enhancement and light and angle corrections, to unit roster overhauls, our community has good reason to be proud of their craft, and the tools provided to them will only be growing as the game reaches maturity. Here are some of the highlights of the modding communities work that have already been released. 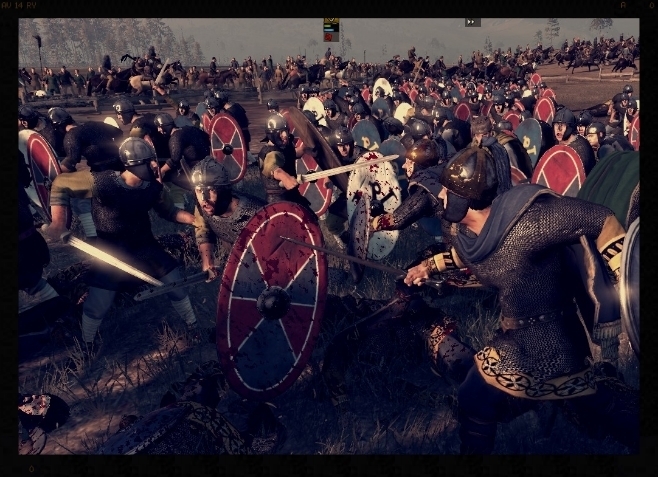 Fall of the Eagles - From the developers of the late Roman overhaul Constantine: The Rise of Christianity, comes a complete unit and battle overhaul focused on realism, historical accuracy, and enjoyable game-play. Familiar resources went into the making of this hosted modification as it's predecessor. Radious- Total War - All of the game-play changes for a more balanced experience go into this overhaul, that is compatible with many smaller scale tweaks and modifications. For a tailored experience with the beloved Radious mechanics, look no further. Magnar's Mechanics - a series of over twenty mini-mods providing a variety of changes to give the player a customizable experience. Rebell's Emergent Factions - Compatible with the DLC, this mod changes the standard Roman usurper factions of Egypt, Gaul, Judea, Dacia, and Pontus, with cultural units that fit the time frame, so for example, the emergent Gauls will have Frankish units. 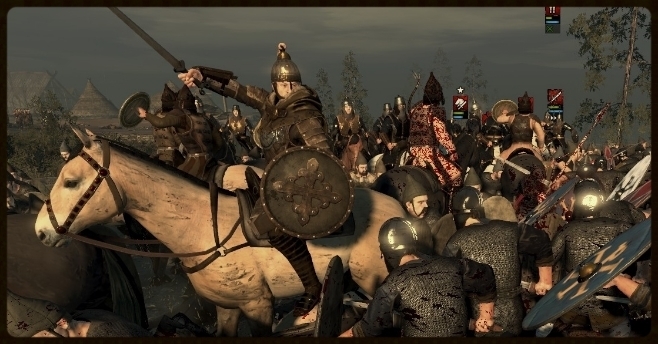 Viking Forefathers Reskin and Roster Expansion - This mod gives a tailored early Viking look to the factions and gives immersive variety to their units. GEM Update for Attila by Lucifer Hawk - This graphical enhancement mod has received much acclaim and gives the game a cinematic and polished appearance key to any screenshot afficianado. 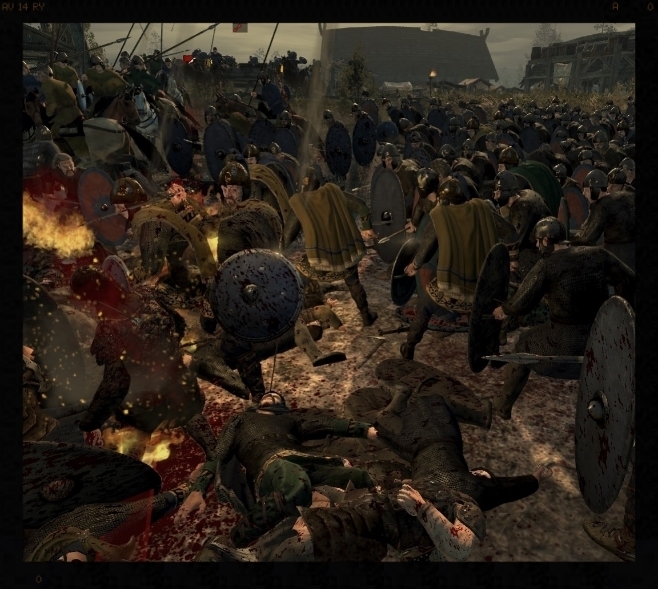 Aiming for the Alpha footage and promos of this generation of total war, this enhancement places you and your armies on the silver screen. Faction Re-color Mod - This mod allows a more palatable color scheme for major factions, or close factions that might be confused with one another on the overlay. For a unique color scheme for major factions, look no further. 4. Stronger destructibles- Increases the durability of placement obstacles on the battlefield. 5. Alternate Pikemen- Allows variance in your unit selection of pikes. 6. All in one- All of these mods in one package. Huscarls and Dragonships for all Norse Factions Mod- Brings the norse factions into the future with huscarls and their distinctive ships, previously only available for the Jutes. Flags of Factions Emblem Mod by Noif de Bodemloze - Adds new emblems and flags and banners for popular factions including the Huns. Vikings, Sassanids and Franks have been redone. Variants of this mod exist with more typical faction emblems and the Barbarian Invasion banners redone. For those familiar and accustomed with the BI color set, look no further. Improved CAI mod - Improves the Campaign AI significantly in some terms from the vanilla AI. Huns Can Settle Mod - Gives the Huns the ability to settle and become an empire of their own. Seriously considering this for my first Hun playthrough! Saxon Overhaul Mod - Aimed towards a more realistic roster without Nordic influence. Usurpers and Rebels - By The Germans are Coming- Replaces the ERE emergent faction with relevant break-off states of the WRE Roman factions such as the Dumnonii, Demetae, and Kingdom of Soissons, Pannonia, and Noricum. Longer Lasting Roman Empires - Modifies traits and doubles garrisons to make the ERE and WRE last longer in the campaign.